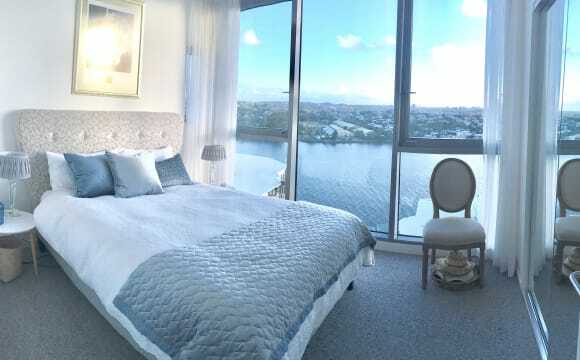 Located in the inner north Brisbane suburb of hamilton this recently renovated, spacious top floor 3 bedroom apartment features expansive river views. Mere minutes from both the river ferrys and buses, public transport is a breeze. Like the cafe/restaurant lifestyle? There’s plenty of options all within walking distance. 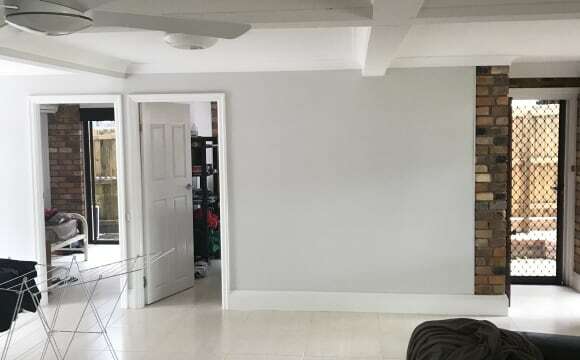 Featuring ✅Close to public transport ✅Projector screen wall (2 comfy cinema couches included) ✅Lots of cafes/restaurants close by ✅Cycling/pedestrian pathway along the river from hamilton through to newstead ✅1 Bedroom with Ensuite, 1 Large Bedroom, 1 Smaller room that can be used as a study or bedroom. ✅High Speed Internet Connection Available (we get around 40MBPS down currently) ✅ Undercover car park space available + plenty of street parking close. Suitable for working professionals, couples or to be shared with a few friends. (not pet friendly, sorry!) 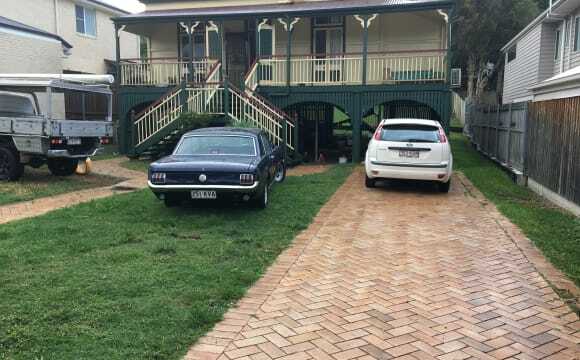 I’m moving interstate, hence looking to find someone to take over this lease which is avail till end of sept after which you should be able to renew. If you decide this is the place for you, you'll need to connect utilities in your own name :) At such an affordable price ($400p/wk + bond &amp; advance), it’s unlikely that it will be on the market for long. 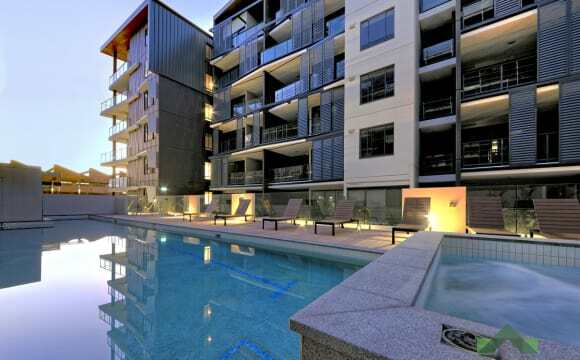 Located in the Proximity Building within the Hamilton Portside complex. 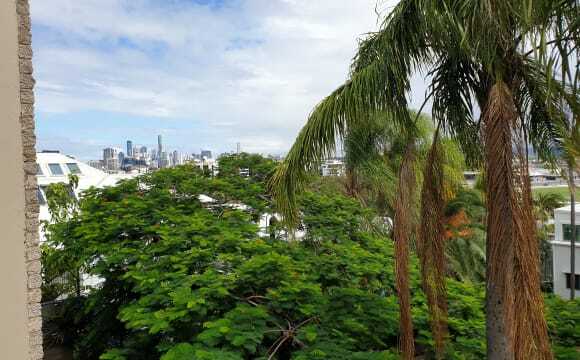 Amazing views of both the city and the Brisbane river. Top floor apartment with 2 bedrooms and 2 bathrooms, fully furnished with simple but stylish furnishings. Spacious, quiet, and very easy to keep clean, it is always a pleasure to come home to. 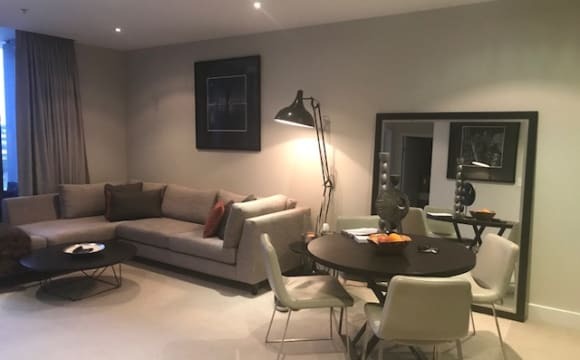 Walking distance to everything you need: 2 supermarkets, 15 restaurants, 2 gyms, bus stops and ferry into the city, 10 minutes drive to the city or airport, and even a cinema! It really is the perfect apartment. Nested up one of the best street in Hamilton there is the spectacular view of the river and the city! Nice breeze and no need to worry about drawing any curtains because you really don't have many neighbours in view. There are only 4 units in total in the whole block, and all are occupied by mature ladies. Very peaceful and it is also the perfect environment for the students. It is a very short walk to ascot Primary school, a very popular school that has a very strict catchment condition. Being the resident here will qualify your child/ children for immediate enrollment. A very short walk to bus stops, that will take you to the Newstead/ valley / City/ South bank in no time. And catching the bus will also take you to the northern suburbs easily, for example Toombul that has the inter bus exchange, as well as cinema, and National retail stores. You can definitely walk/ ride to follow the river path to Port side/ Race course Road / Gas work and city cat terminals are just 10 min away! 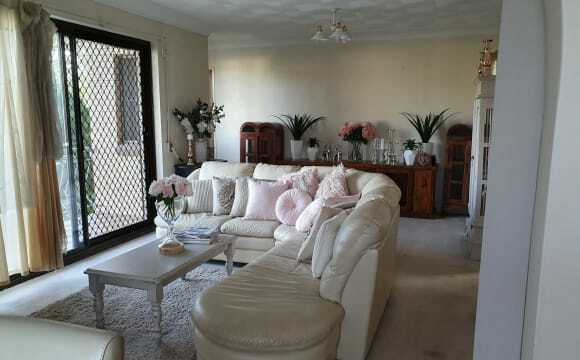 The apartment is fully furnished but if you are signing an agreement for 12 months or more. I will consider you having your own furniture. the kitchen is fully equipped and there are really nothing you will need apart from your clothes. Fridge / washer/ drier and even has separate toilet/ laundary / shower and a spa bath. There is a TV in the lounge room at the moment and 1 other TV in a bed room. If you have your own you are welcome to hook it up for I will probably take away the TV in the lounge room soon. Both bed rooms are double size. Both has mirror wardrobe and shelfing. 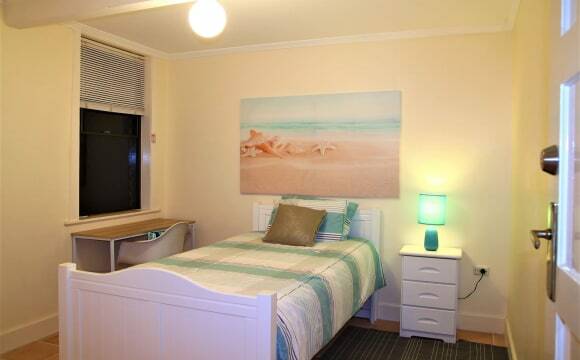 Room 1 has a queen size bed, a lovely dressing table, and a desk which you are welcome to keep or choose not to. Room 2 has a book self and is waiting for your own decorative fairs. The third option ( The preferred option) is to rent the entire upstairs out for your family. Which will become a 2 bedrooms apartment and the total amount is $410 per week. Exclude any other expenses. 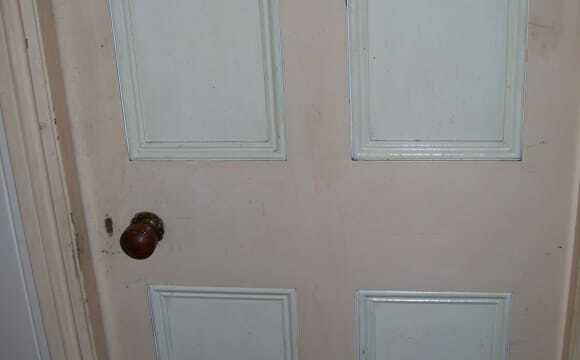 The only person you will have to share the bathroom / kitchen may be myself who has a separate area downstairs ( with its own private entry) I am hardly there and I am considering to rent that out in a few months also or offer the downstairs to the upstairs occupants. 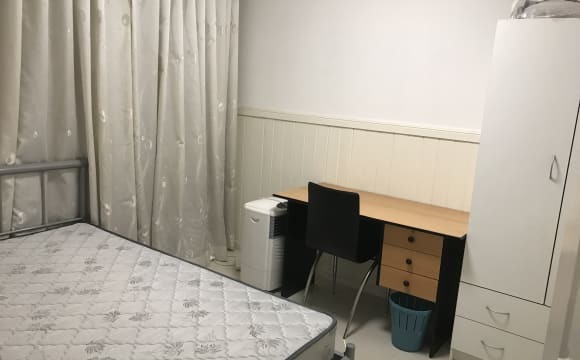 This is a great place for the professional couples who is wanting to nest but still has your own independency by having 2 rooms separately or single parent family with children, or students. Great views from the balcony, and you can experience the tranquality of this prime address of Toorak Road. Feel free to contact . Cheers. 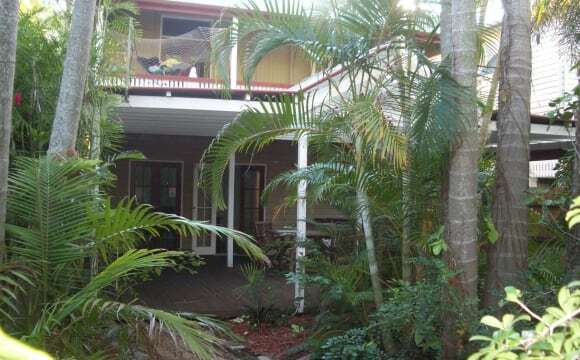 One bedroom available in a 3 bedroom, 1 bathroom newly renovated Queenslander. Living with two girls in their mid twenties and two dogs. 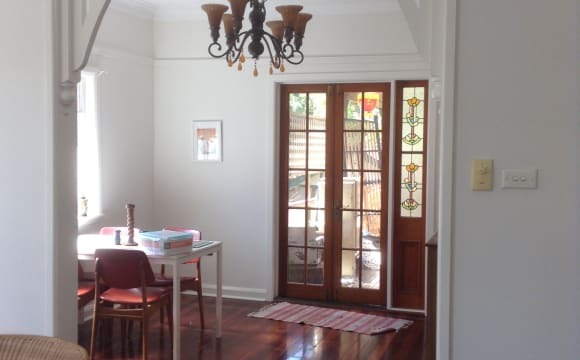 30 metres from Racecourse Rd (cafes, IGA, coles, bus stops). 600 metres from Ascot Train Station House is furnished except the room but a mattress and some furniture is available if needed. Brand new kitchen and bathroom, large backyard. Fetch TV, aircon, NBN, $30 a week for bills - electricity, gas and internet. Also have plenty of storage space under the house if needed. Sorry no more pets. 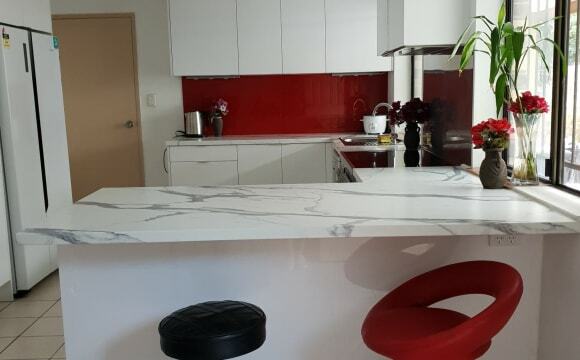 Modern , furnished 3 bedroom, 2 bathroom building next to Bartleys reserve at Ascot ( 4K to CBD) with floor to ceiling glass doors and city views. Our place is just 3 blocks away from Racecourse road which is full of cafe and restaurants. Our house is 6 bedrooms, 3 bathrooms, 3 living rooms and has a huge entertaining deck and oversized pool. My partner and I live downstairs. The room for rent is the master upstairs which has an en-suite and you even have your own living room. My partner and I own businesses so we work pretty long hours. On the weekend we like to relax at home or head to the coast. We also travel a lot. This home is perfect for someone who wants a quiet home and their own space. 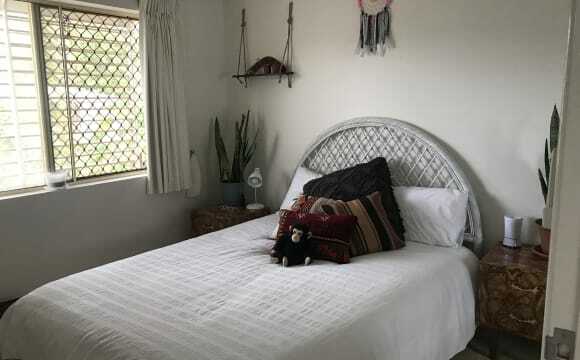 Room available in large two story Queenslander fifteen minutes to the city The bus and train 5 minutes away. 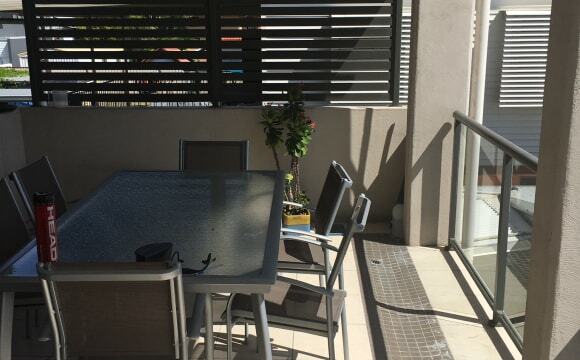 large deck and garden with bbq area large gourmet kitchen.Foxtel and wireless internet and all bills and a cleaner are all included in the rent.The bedroom can be furnished if you need. 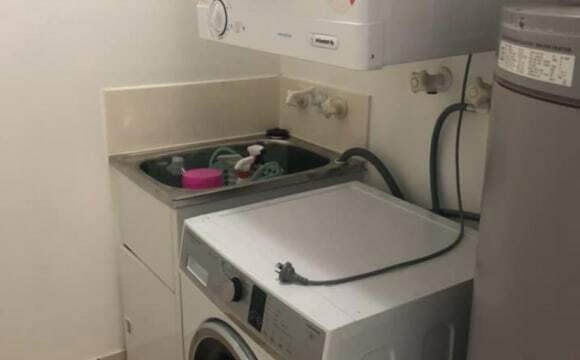 Fully furnished apartment which I own (so no need to worry about property managers) with the ensuite available. The room is approximately 3.3m by 3.3m, and is large enough for a Queen sized bed and bedside tables. It has a TV port for your own TV, blackout blinds, and direct access to my private courtyard. I've also upgraded the apartment with security screens and blackout curtains in both bedrooms and the living room. The apartment is close to the city and public transport across the road (15 minutes to the city by bus, sometimes quicker). The complex finished construction in December 2016, so is quite new. It has a gym, a pool and a BBQ area. I have unlimited NBN and a 75 inch TV for a great movie experience. The outdoor space is bigger than the indoor space, with a (potentially) nice garden bed around the entire edge of the courtyard (I'm working on it). There is also a dog park attached at the front of the complex, so depending on your dog, that's not a deal breaker for me. The lease also comes with a second secure car park in the locked up underground parking lot, and access to my storage cage for other items. Bills are not included in the rent price, these include gas, water and electricity. Any flatmate would also be expected to contribute to cleaning of the common areas, and to show respect and care for my items and my property. If you’d like to see more about the complex you can search Jade Albion in google. 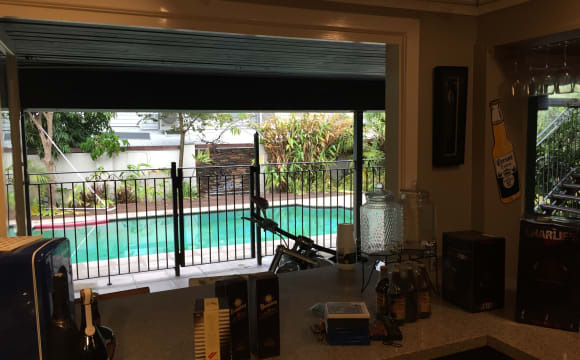 Great little house right in Bulimba. Oxford street is a quick stumble away as is the city cat. There is plenty of street parking. 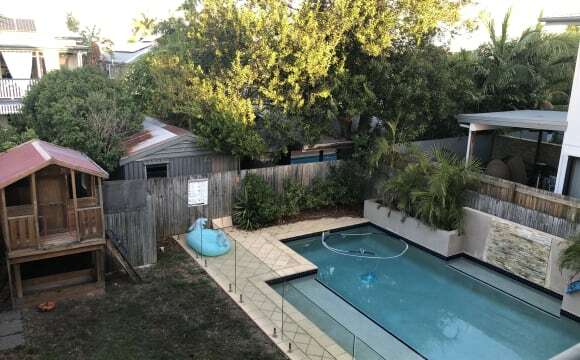 The house has air con and a decent back yard. I would prefer no couples but I can always change my mind. We do have a cute little cat that enjoys pats. Fully furnished with a beautiful pool to use. Air conditioning in your room and a lovely view of the city from the balcony. Available from May 4th! You're welcome to my Netflix password. The pool is amazing and the complex includes a gym, sauna, outdoor cinema, BBQ area with pizza oven and a fire pit. 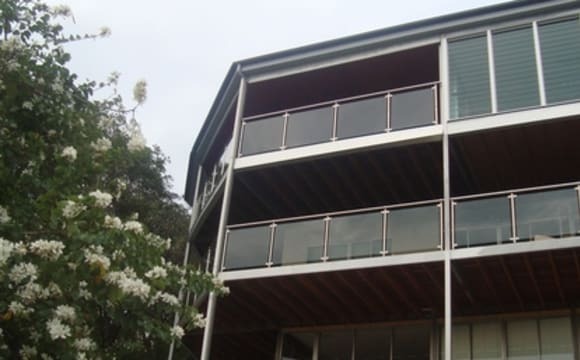 The apartment itself has a large balcony and nice fit outs with your own bathroom. In the area is absolutely everything that you might need; It's a short walk to the supermarket, homemaker centre, endless cafe's and restaurants, gyms, yoga practices and other health and wellness places. There's a park nearby that leads to a walkway along the Brisbane River. The ferry terminal is also close by and there are regular busses everywhere. 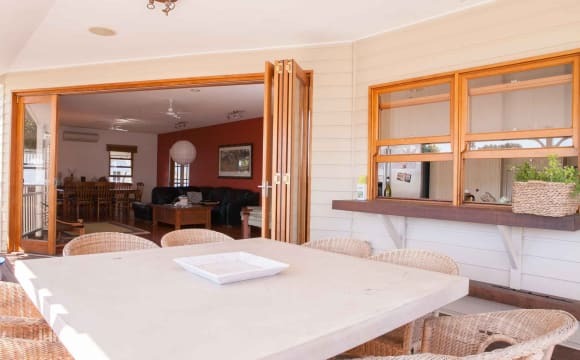 You will most likely make some new friends while living here, most of the residents are super friendly and don't mind having a chat or inviting you over for a drink or a coffee.